Narcissists come in two main varieties, each posing very different challenges for relationships. The two types also pose very different prospects for change. Telling the diffference between these egotistical characters can be difficult at times, so it’s important to know the signs that can help you distinguish betwen the two. Dr. George Simon is the leading expert on manipulators and other disturbed characters. He earned his degree in clinical psychology at Texas Tech University and has studied disturbed characters for over thirty years. 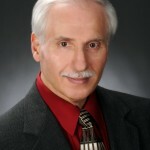 Dr. Simon is not only an author, but a public speaker, consultant, professional trainer and composer who has appeared on numerous national, regional and local television and radio programs. Dr. Simon’s internationally bestselling book In Sheep’s Clothing: Understanding and Dealing with Manipulative People© is nearing 20 years in print and has sold over a half million copies in the U.S.. His other books, Character Disturbance and The Judas Syndrome are also bestsellers. His latest book How Did We End Up Here? is now available on Amazon and at local booksellers.